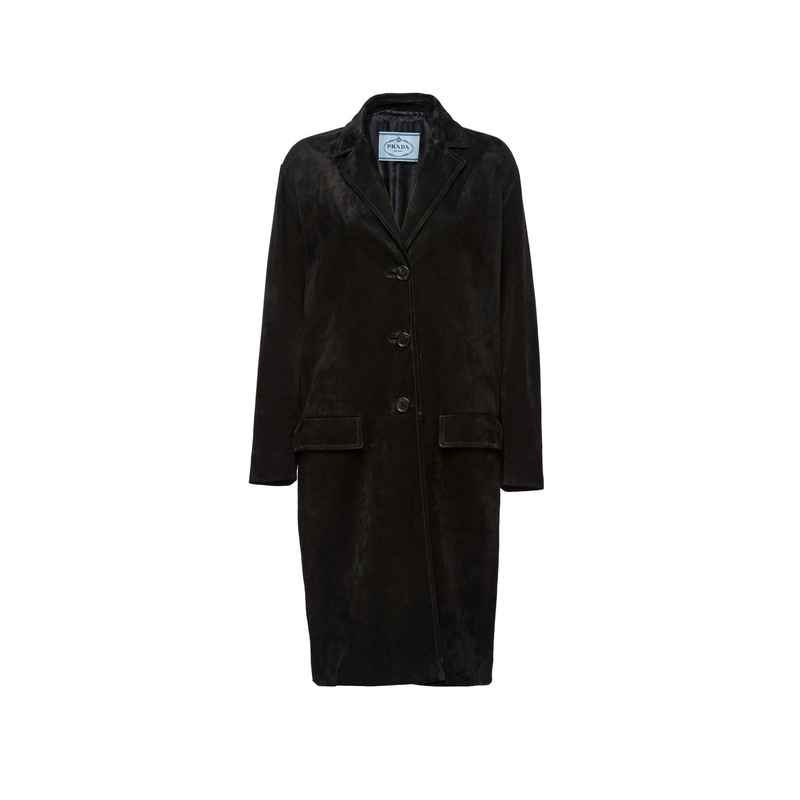 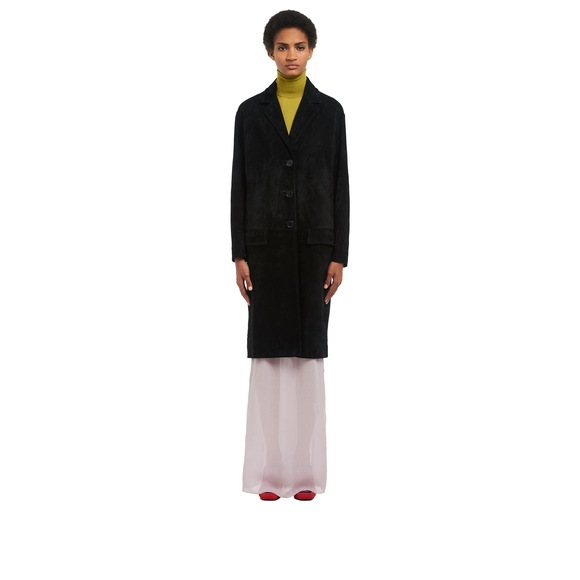 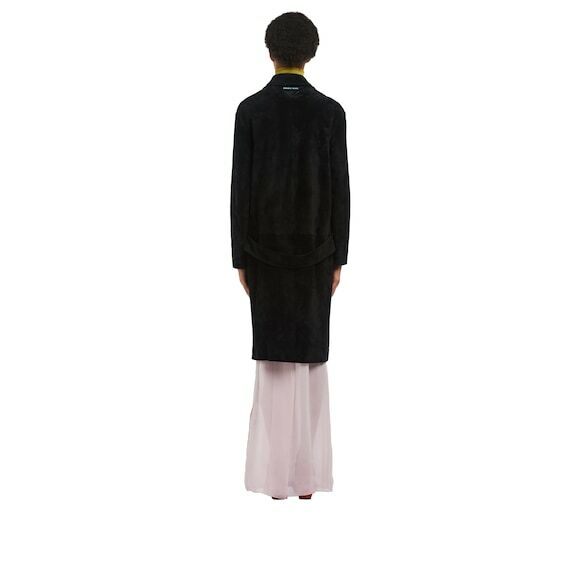 This suede coat expresses minimalist elegance. 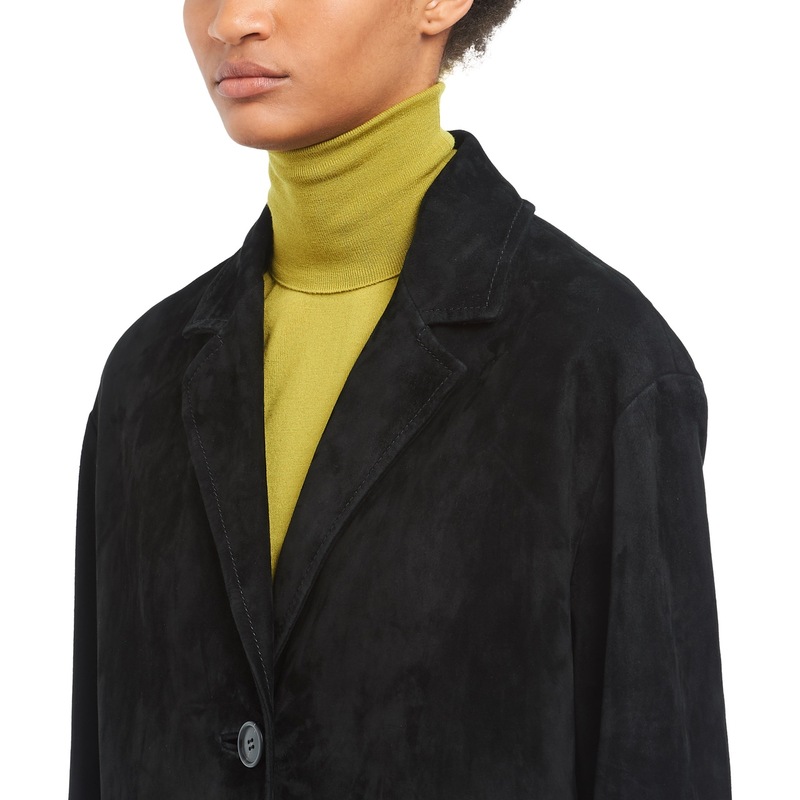 It has classic lapels, long sleeves, flap pockets, and single-breasted closure. A half-belt on the back completes the garment.